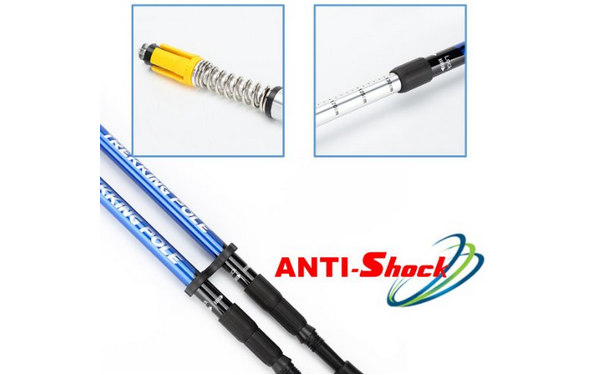 [ANTI SHOCK SYETEM] Unique design with shock absorber inside can be turned on/off to your actual need so as to make a more comfortable using experience and reduce the risk of being hurt while using. [PERFECT HEIGHT ADJUSTMENT] New Quick Lock System, adjustable length from 27″ to 53″, with measuring scale to easily get your preferred height. [SUPER COMFORTABLE] EVA Foam Handle with wrist strap, sweat-absorbent and super comfortable for long time use. [SUPER STURDY] Ultralight Shaft made of aircraft grade 7075 aluminum alloy, extremely durable and not easy to deform. [MUCH SAFER] Tungsten Steel Rod Tip under the rubber footing, much safer and more abrasion resistant. With black braided fabric on the outside and super-soft wool lining that is air permeable and sweat-absorbent inside, the special-made strap enjoys a seamless binding and an adjustable snap joint to fit your wrist perfectly. The lengthened EVA anti-skid grip is made of exquisite high-end duel density foam, which absorbs moisture effectively and puts the perfect fit in the palm of your hand. Together with the extended EVA shaft, the durable grip makes it easier for users to change gesture without skidding after longtime use. Spiral locking system, with the exclusive design of a simple and convenient operation, is fast and safe. 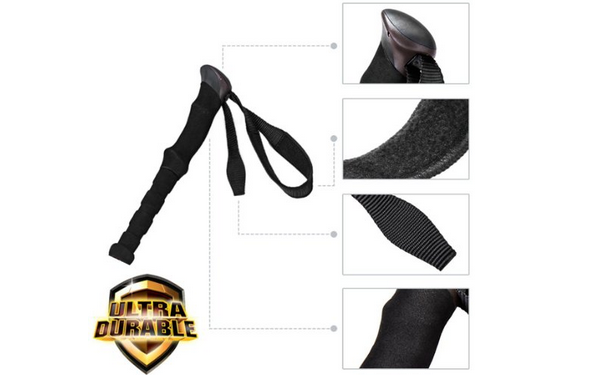 Unique design with shock absorber inside can be turned on/off to your actual need so as to make a more comfortable using experience and reduce the risk of being hurt while using. The use of rapid and convenient telescopic adjustable system can meet different needs of lengths. By adopting the super 7075 aviation aluminum, it boosts the feature of corrosion-resisting, super-light and great tenacity. The surface of the rod, which was processed by metal drawing technique, can stay shiny after a long time use. 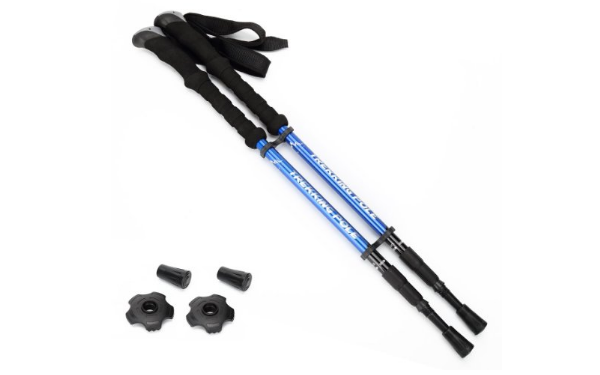 Apart from the EVA for the Handle and the Walking Stick Tip Protectors, the product can enjoy one year limited warranty for the non-artificial damage.